We are hosting a Bunnings BBQ this Tuesday 1 March at the Stafford Warehouse. President Niki will be running the show with setup and pack up covered. We are looking for helpers though between 830am and 300pm. We are particularly short from around 11am onwards. 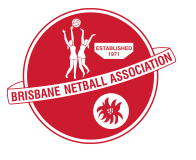 If you can help, please let us know as soon as possible at admin@klnetball.com or 0478 015 332. The fundraising goes into updating our training gear as well as development and extension training for our girls.